As discussed in our previous post, “Non-Synthetic (Natural) Tablet Coatings & Colors for Supplements,” non-synthetic colors & tablet coatings have emerged to address consumer concerns and clean label requirements. Supplement coating formulations that use naturally derived pigments can create challenges not typically encountered with synthetic pigments in tablet production. Chief among them: stability. With non-synthetic coatings & colors, supplement manufacturers must take care to ensure stability and shelf-life are maximized, and regulatory requirements for each market are met. This requires in-depth stability evaluation and an extensive global knowledge of food additive regulations. While limiting the available range of colors and hues, naturally derived ingredients also tend to be less stable than their synthetic counterparts – which can impact the shelf-life of your final film coated products. (You’ll want to give consideration to your supplement’s packaging and storage conditions - e.g., protecting it from light and heat). 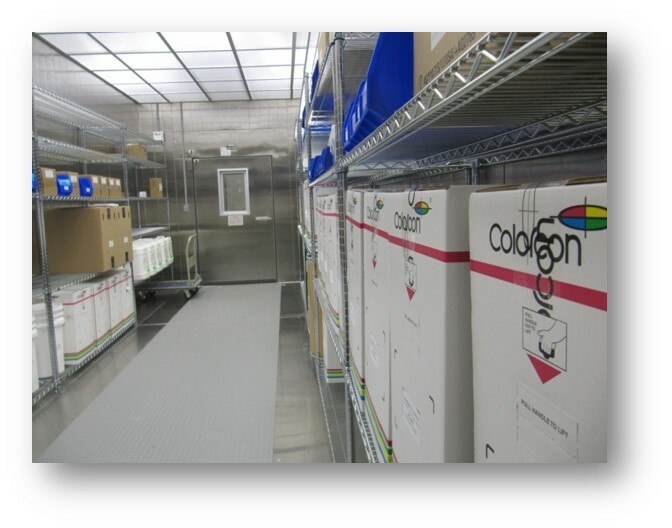 At Colorcon, we’re continually working on R&D and stability testing to ensure that alternative non-synthetic colorants provide good stability and batch-to-batch consistency. Newly identified non-synthetic pigments, used by Colorcon, are subject to rigorous stability and reactivity tests for use with our film coating systems, and formulations containing multiple pigments will typically be assigned re-evaluation dates based on the least stable pigment. A colorant supplier can introduce pigments that are marketed as ‘more stable’, and in these cases, we thoroughly evaluate the new pigment. Sometimes a ‘more stable’ pigment does not correlate to increased stability in the coating system (e.g., annatto or beta-carotene), and therefore the pigment will not pass Colorcon’s stringent stability testing. We’re now able to offer an expanded color spectrum as the FDA approves Colorcon’s iron oxide petition; meeting the demand for more stable pigments from dietary supplement manufacturers. When you’re contemplating the use of non-synthetic pigments for your supplements, you’ll also need to take other issues, beyond stability, into consideration. Probably the single most important issue is the need for effective global regulatory support. When it comes to regulatory impact, it’s critical to approach product development from both a regional and worldwide perspective. You need to look at your target market, by country and region, to understand the mandatory regulatory requirements. In some cases, you may find local regulatory restraints dictate the need for an alternative pigment. As the leading coating supplier, Colorcon maintains regulatory databases related to international color and food additive regulations. These databases are available when we work with you to identify your best product options. We provide you with global regulatory affairs resources, and through membership of trade associations focused on supporting food, dietary supplement & color additive regulatory initiatives (e.g., Colorcon is a member of IFAC, FAIA, IACM, CRN, CHPA, IPEC and other organizations), you can depend on us providing you with the latest information. 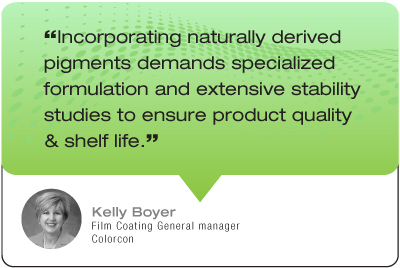 Learn more about Colorcon’s certified organic coatings, or connect with Colorcon to discuss your colorant challenges.